How much is B.o.B Worth? B.o.B net worth: B.o.B is an American hip hop recording artist, singer-songwriter, and record producer who has a net worth of $8 million. B.o.B got his first big break when he signed a record deal with Grand Hustle Records, Rebel Rock Entertainment and Atlantic Records. He then produced the album The Adventures of Bobby Ray. 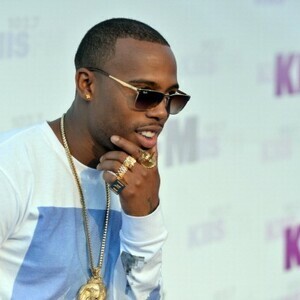 B.o.B was born Bobby Ray Simmons, Jr. in Winston-Salem, North Carolina in November 1988. He played trumpet from elementary school to high school in his school's bands. At 14 B.o.B sold his first beat to an artist named Citti. He said he spent all his money too fast and became broke, which taught him a valuable lesson. He was signed to Atlantic Records and his first single reached the top give on the Billboard Bubbling Under R&B/Hip-Hop singles chart. In 2010 his single "Nothin' on You" hit #1 in the U.S. and U.K. His album The Adventures of Bobby Ray in 2010 reached #1 on the U.S. Billboard charts and was certified gold. MTV named B.o.B the ninth "Hottest MC in the Game". His second album Strange Clouds was released in 2012 and debuted at #5 on the Billboard 200. His 2013 album Underground Luxury spawned the big hit "Headband". As of 2013 he was planning on releasing an EP that would only include rock music. B.o.B won a Soul Train award for Best Song and a Teen Choice award for Hook up Song in 2010. In 2015 he released his fourth studio album Psycadelik Thoughtz, which marked a return to the studio for his "Bobby Ray" persona he performed and recorded under at the beginning of his career, telling HipHopDX "I wanted to make something that could support it. It started off as being an EP and then grew into a whole project. I feel like this project is so special because the people have been asking for Bobby Ray and this is Bobby Ray in full form."